The PDC Premier League is set to continue this week after Kim Huybrechts and Peter Wright were eliminated in last week’s judgement night in Manchester. The remaining eight players will all play each other once again over the next six weeks, with two stars appearing twice per night. We’ve already got our early bet running on Michael van Gerwen to lift the Premier League trophy, and he’s looking good at the top of the table at the moment, although our each-way flutter, Raymond van Barneveld, has it all to do after surviving last week by the skin of his teeth. It was a gripping night of action at the Manchester Arena last week, and Peter Wright and Kim Huybrechts were the two to be eliminated as van Barneveld and Adrian Lewis survived. Lewis beat Wright 7-4 to secure his place in the next phase of the Premier League, while a 6-6 draw with Gary Anderson in the final match was enough for van Barneveld to squeeze through on leg difference ahead of Wright. Kim Huybrechts drew 6-6 with Stephen Bunting, but was eliminated after finishing rock bottom with just four points. In the other matches Dave Chisnall scored us a 4/1 5.00 +400 4.00 4.00 -0.25 winner by defeating Phil Taylor, and Michael van Gerwen cemented his three-point advantage at the top of the table with a 7-4 win over James Wade. James Wade has two tough matches on the night, but he’s been very consistent this season and can be backed at decent odds for both games. His first opponent is Adrian Lewis, and there’s no reason why he can’t get the better of the Jackpot, who only survived elimination with his victory over Peter Wright last week. Wade sits fourth in the table at the moment after three wins, three draws and three defeats, but those losses were against the big three players in van Gerwen, Taylor and Anderson. He’s been held to three draws, by Stephen Bunting and tonight’s two opponents, Lewis and Chisnall. He’s been playing good darts throughout the tournament so far though, and hasn’t failed to win at least four legs in any of his matches. There was no shame in defeat to van Gerwen last week (7-4), and he will be determined to keep his hands on that fourth position. Phil Taylor is the man behind him in the table, and Wade will know how important it is to get some points on the board from his two games tonight. Lewis has lost four of his nine matches, and although he beat Wright to survive last week, he hasn’t been playing his best darts this season. Lewis admitted after the match that he felt like he’d played his ‘bonus card’ and will look forward to the next six weeks. 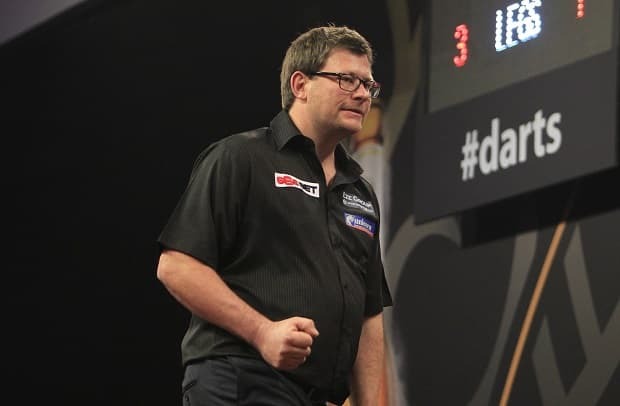 However, the value in this opener is with the more consistent performer in James Wade. In the final match of the night Wade takes on Premier League surprise package, Dave Chisnall, who remains second in the Premier League after his excellent comeback win against Phil Taylor last week. He’s in a great position to reach the play-offs, but he faces a tough first match against Gary Anderson before taking on Wade in the final showdown. Chisnall has been on fire this season and his victories include a 7-2 win over Anderson. The current World Champion will have revenge on his mind tonight, and it wouldn’t be the biggest shock to see him consign Chisnall to a first defeat of the night in the earlier game. Wade can make it a disappointing double for Chisnall by beating him as well. Chisnall is capable of throwing in the odd poor performance, and it’s worth noting that he lost 7-3 to Stephen Bunting the week immediately after his win over Anderson, and he might struggle to reach the heights of last week’s win over Taylor again this week. Wade and Chisnall fought out a 6-6 draw earlier in the season, so there’s little to choose between them on current form, but we’re backing Wade’s consistency to come out on top again. One other game that catches the eye is the match-up between Phil Taylor and Raymond van Barneveld, and we think Taylor will be primed for revenge for the 7-4 defeat van Barneveld inflicted on him a few weeks ago. Taylor has had an average season by his standards, but he still sits 5th in the table and is only out of the top four on leg difference. He knows that this is the business end of the Premier League season, and he won’t drop too many more points from here on in. van Barneveld is the only player on six points and he has a -13 leg difference. He admitted that it will be tough for him to reach the play-offs from this position, but that he was treating every game like a final. Taylor can make his task even harder with victory in Sheffield.